How is it possible for parents to make an informed decision about whether or not to vaccinate their children when they are not even being presented with all the facts? This is the subject of a new report by VacTruth.com's Shawn Siegel, who so eloquently explains to his readers how "informed consent," at least as we currently understand it, is essentially a misnomer due to the fact that most doctors, the mainstream media and government health agencies do nothing but lie to the public about vaccine safety. Citing an extensive array of published studies proving his point, Siegel shows how the scientific literature is replete with evidence showing, for instance, that the mercury added to some vaccines is definitively linked to causing the same speech and learning disorders associated with autism. Other studies, many of which were conducted by federal agencies, show that vaccines are also linked to causing SIDS, or Sudden Infant Death Syndrome, as well as rheumatoid arthritis and other autoimmune diseases, brain damage and diabetes, among many other conditions. Why are these studies so often covered up, leading to widespread confusion about vaccine safety? 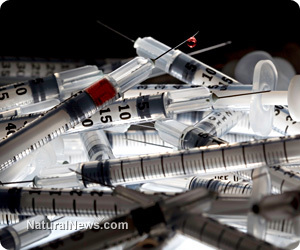 Siegel attributes much of it to academic indoctrination, as the physicians constantly being churned out of medical school are not being told the truth about vaccine adverse effects and contraindications, which means that they, in turn, are not disclosing this information to their patients. And yet, it is these same medical professionals in whom most parents are putting their trust when it comes to vaccine safety and efficacy. "[M]edical schools don't teach the history and nature of vaccine damage and death; nor do nursing and pharmacy schools," writes Siegel. "Yet doctors, nurses, and, these days, pharmacists, are the very ones who administer vaccines, and upon whom we rely for full information. Somewhere there is made a conscious decision to exclude the reality of serious vaccine damage from the curricula." In his extensive outline of vaccine truth cover-ups, Siegel brings up an interesting point about the history of the polio vaccine of which few people are aware. Polio is often the go-to disease that vaccine advocates use as ammunition to shoot down those who dare question the safety of vaccines -- without vaccines, they often claim, everyone would be dying from preventable diseases like polio! But few people are aware of the fact that, just after the polio vaccine was introduced in 1954, the U.S. Centers for Disease Control and Prevention (CDC) almost immediately redefined what constituted polio, effectively eliminating more than two-thirds of polio cases that otherwise would have been reported and included prior to the vaccine. In addition, the CDC also changed the definition of a polio epidemic following the advent of the vaccine, making it virtually impossible for any future "outbreaks" to occur. "[T]he CDC never mentions that it was the radical changes they made to the definition and diagnosis of polio, right after the vaccine was introduced, that eliminated most cases of the disease, not the vaccine," Siegel points out. "Nor do they mention that once the vaccine was licensed, the CDC pulled all remaining diagnoses close to the vest, disallowing for automatic inclusion in annual polio statistics cases reported by private medical practices or local public health departments, and declaring that only they, the CDC, after ostensible thorough review and lab analysis, could officially validate a case."